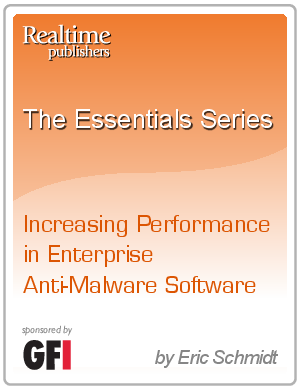 This, the first of three articles in this series, will discuss why many traditional anti-malware solutions have a negative impact on system performance. It discusses the risks to business operations that are created as a result of this performance degradation. Continuing with this discussion are two subsequent articles that focus on the factors you must consider when selecting an anti-malware product as well as what can be done to optimize your selected solution’s performance.